Conservation globally has received a boost from the United Nation's Sustainable Development Goals, placing new emphasis on, and opportunities for, support for the world's flora and fauna. Yet even as environmental non-governmental organizations (ENGOs) like The Nature Conservancy prepare to rise to the challenge, they face size issues. Specifically, their own size. 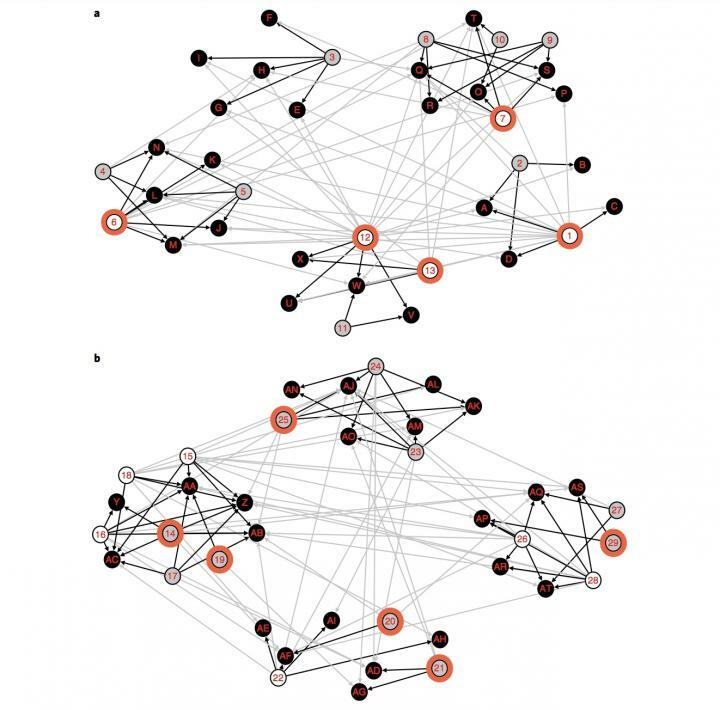 "We helped conceptualize how to analyze and leverage the social network administrative data for diffusion," said Ken Frank, MSU Foundation Professor of Sociometrics. "What we found were the people in an organization that are four times more likely to diffuse information." In other words, they struck organizational gold. The group, led by Yuqing Liu, an MSU PhD student, and Yuta Masuda, a senior sustainable development and behavioral scientist at The Nature Conservancy, were focusing on people known as informal boundary spanners, those in an organization who may be more receptive to new information, and share it with co-workers regardless of what department they're in, or what project they work on. They span boundaries. Using targeted emails inviting staff to take part in an online tutorial on one of CbD's core innovations, the team analyzed how informal boundary spanners and a randomly selected group of non-boundary spanners engaged with and shared the information with their colleagues. This led them to realize that informal boundary spanners are people who don't need to be told it's their job to share a cool piece of work information. "Imagine you need 80 staff to volunteer in distributing information to their colleagues," Liu said. "You only need to ask 100 boundary spanners, 80 of them will just go ahead and share the innovation. But you will have to reach 400 non-IBS staff to have 80 people willingly spreading the information with their co-workers. This is a big difference when look at large scale." "For organizational leaders, having information on the organizational network structure is like holding a roadmap of how new information can spread," he said. "Informal boundary spanners are like important local hubs scattered across the organization. Organizational leaders now have one more method to disseminate new ideas and tools." In addition to Frank, Liu and Masuda, "Innovation diffusion within large environmental NGOs through informal network agents" was written by Sheila Reddy, Kyle Burford, Jonathan Fisher and Jensen Montambault. The work was supported by the David and Lucile Packard Foundation. Frank is a member of MSU's Center for Systems Integration and Sustainability. Rats, cats, and people trade-off as main course for mosquitoes in Baltimore, Md.